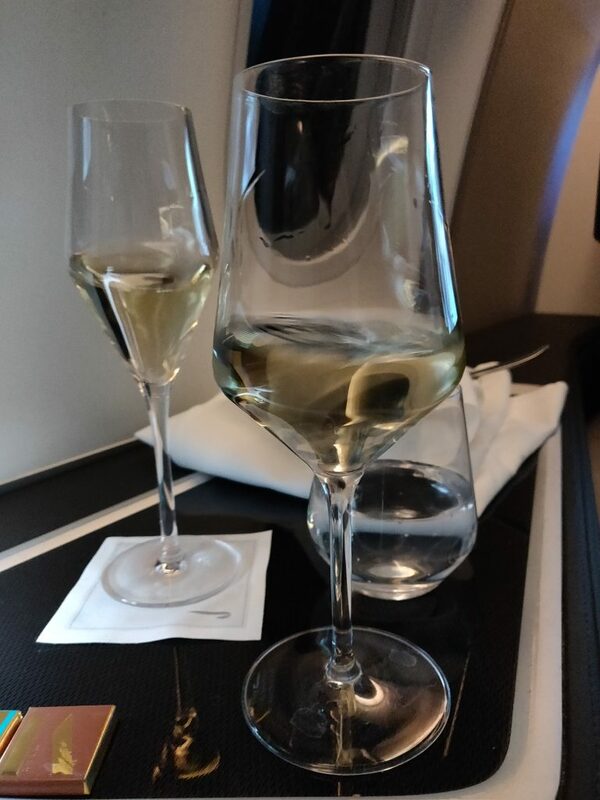 British Airways New First Class onboard offerings – a very mini review! 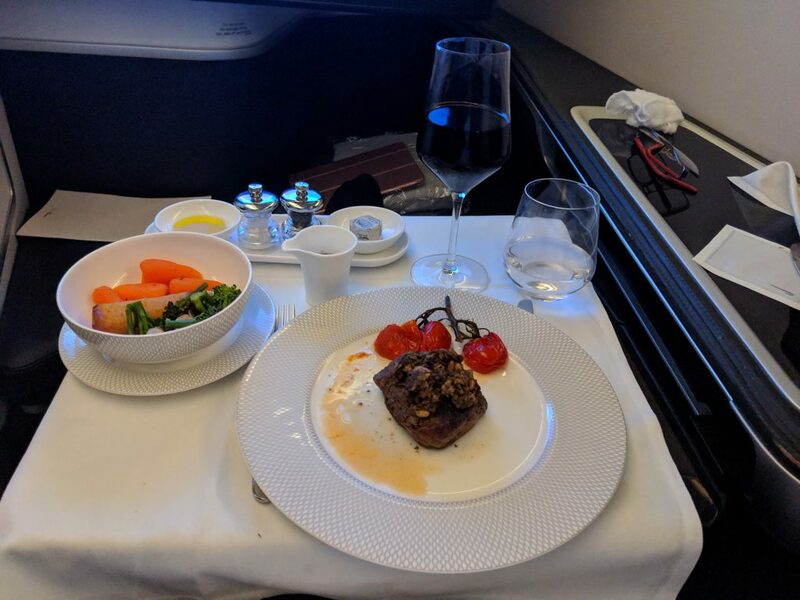 So I was fortunate enough to have a first class booking a few days after the new service started and here are a few of my thoughts… And lots of pictures! 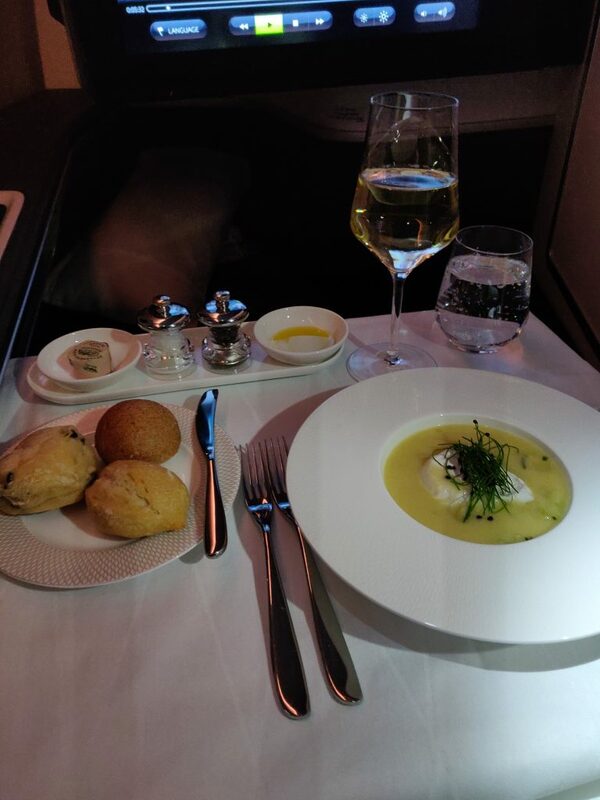 I flew on a Boeing 787 Dreamliner to Doha, for clarity. 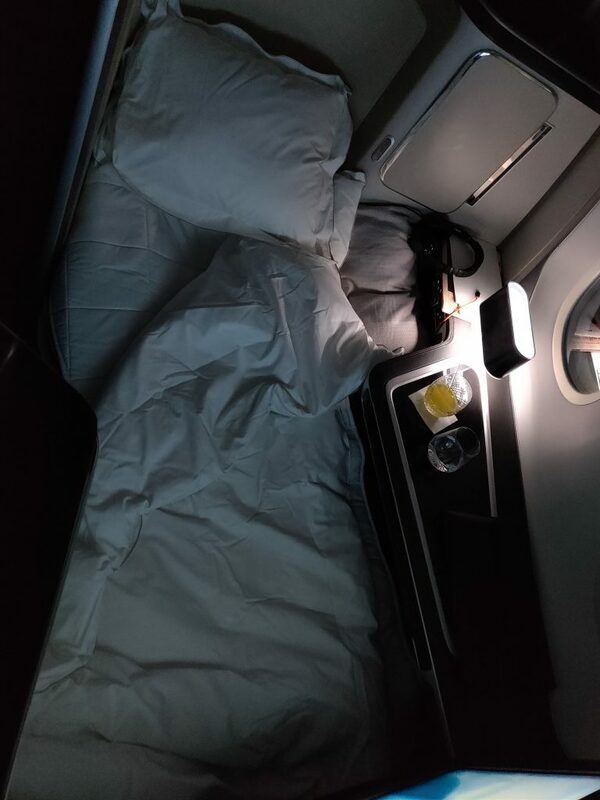 If you want to read more about BA’s B787 First cabin try this review. It’s complicated – the crew showed me the service instructions, which were pages and pages long. 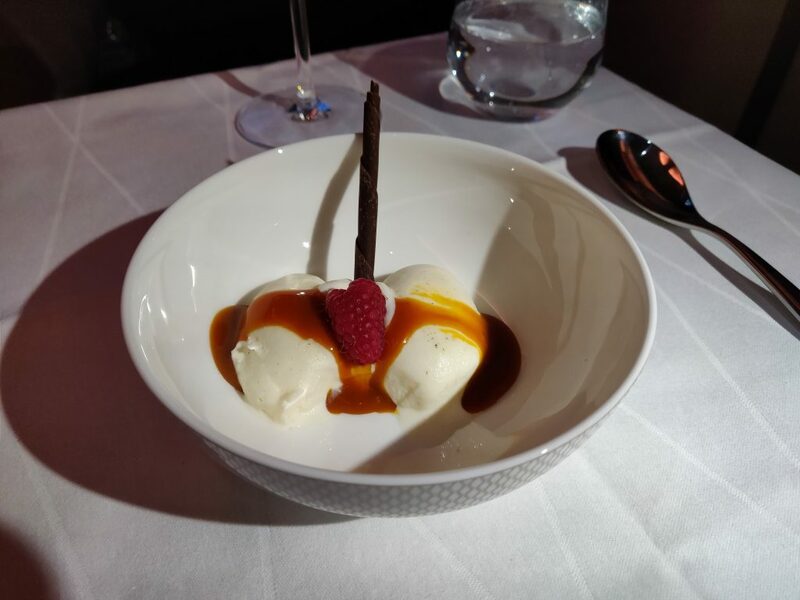 It’s a good step in the right direction – it brings first towards other carriers, but come on BA – we need Caviar! 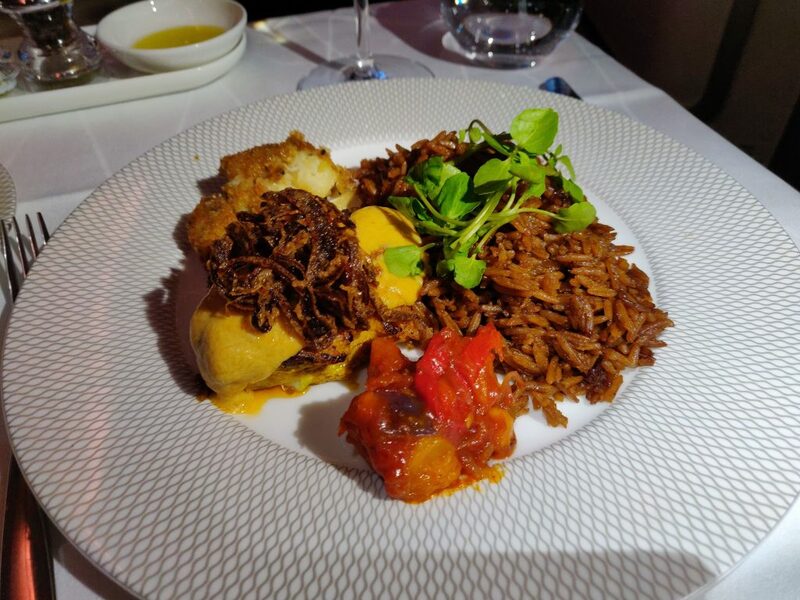 The food was decent, as far as plane food goes. The portion sizes are now substantial. They still don’t carry enough LPGS onboard. The service, due to its nature is slower. The PJs were comfy, but I’m not a massive fan of the design. Me working the men’s PJs what do you think? 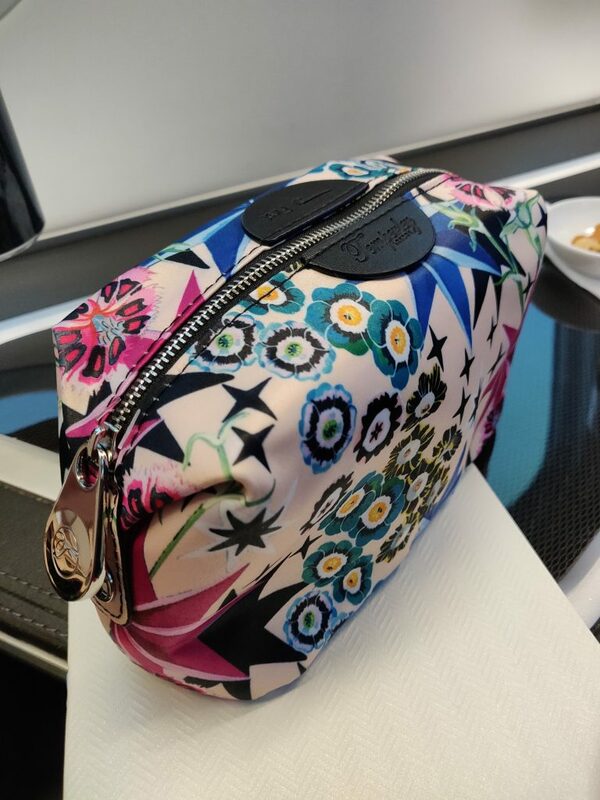 Amenity kits – the men’s one looks boring frankly, but I love the design of the ladies one. You can see the full contents in this article. 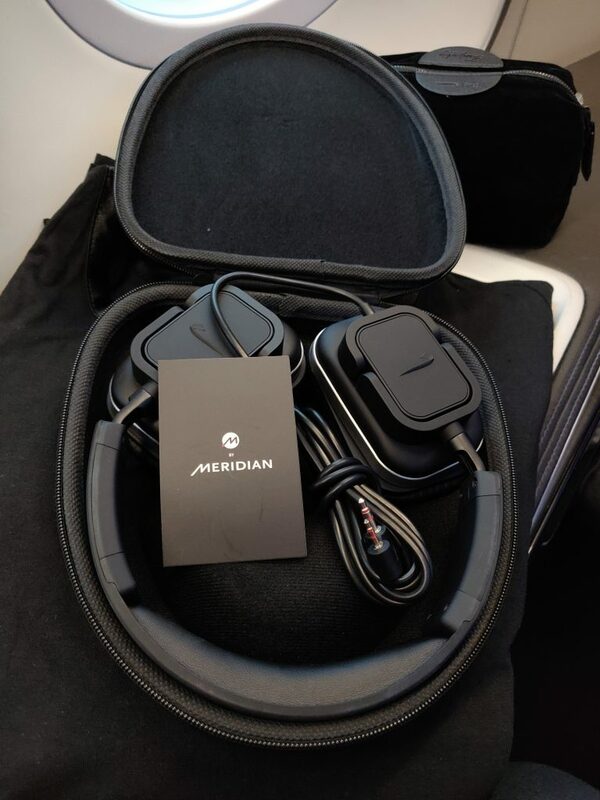 Didn’t try the headphones personally so can’t comment but a friend said they are definitely a step up in terms of comfort and noise cancellation/isolation. The new bedding is a step up too with 400 thread count sheets, a much thicker topper (although sadly not like the Emirates memory foam one) and a better pillow too. It definitely made a very comfy bed! Enjoy the pics and expect a more detailed review next week when Michele and I, fly in First to Singapore. Canapés, with more champagne of course! So what do you think of the look of new First? Do you think it’s an improvement? Let us know in the comments below or on social media. 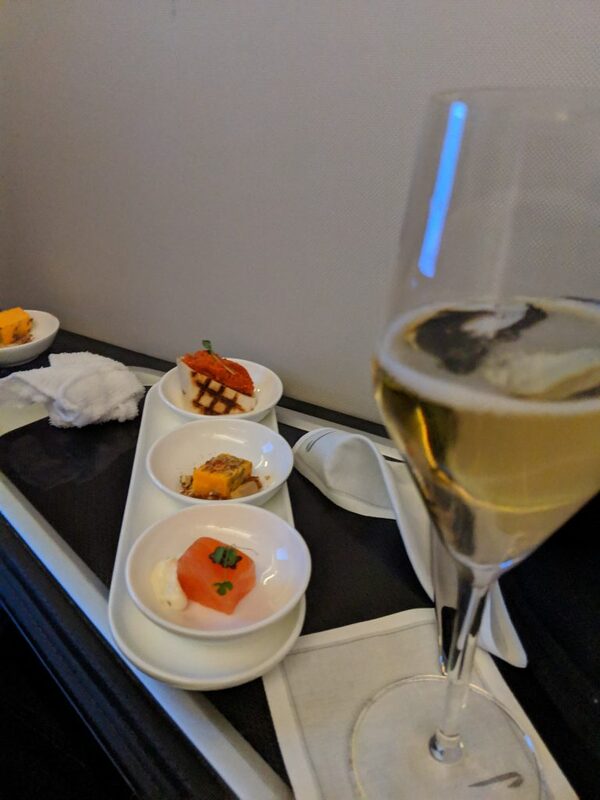 BA price promise & how to book a bargain Marriott or Starwood luxury points redemption without the points! 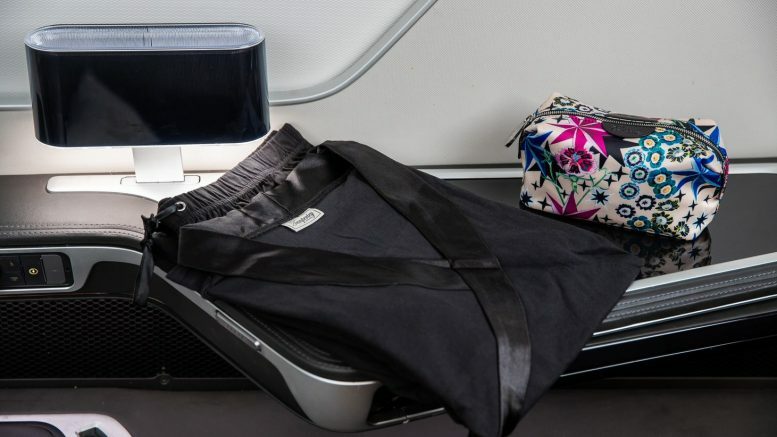 17 Comments on "British Airways New First Class onboard offerings – a very mini review!" What is it about never having enough LPGS on board? I’m guessing it is super expensive so they try to load the minimum. They are not great at predicting loads either. In this case, there were only 3 people booked in F but it was obvious from the loads elsewhere there would be upgrades. I wonder how you can verify that the New service is available on your flight. I am scheduled to fly on the 777 flight LHR-HKG on the 11th. Anybody knows if the new First is to be served on this flight? Yes it should be on all flights now. Happy to see the improvements, can’t wait to sample it in May. 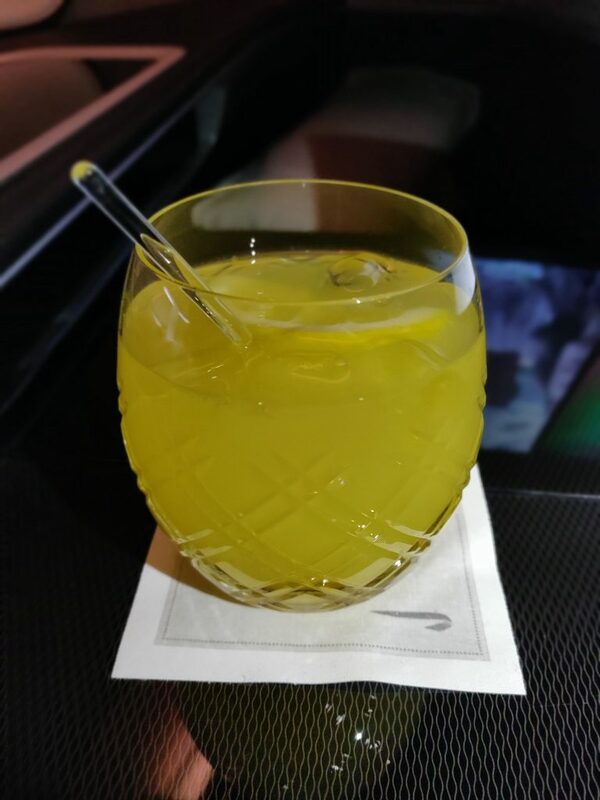 Also happen to love the glassware. Overall, how are you feeling about the changes? 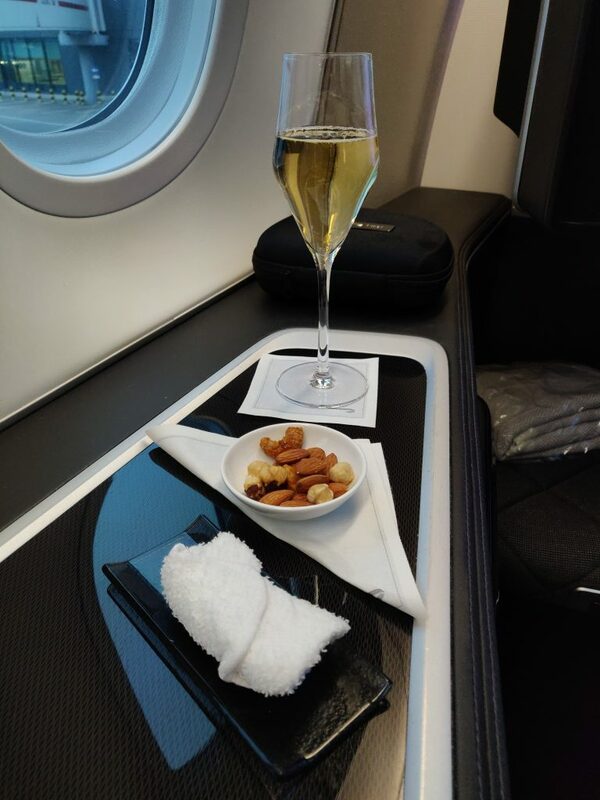 When using the Gold Upgrade voucher from Business to First, the itinerary shows A Class all the way. Would the Tier Points & Avios accrual for each leg be as for I/R/D class (Club World) for for A class (First)? Apparently I am a naive newbie, but what is LPGS? Presumably not Liquid Petroleum Gas or Langley Park Girls School? Laurent Perrier Grand Siecle. Very expensive and its hard to see why. 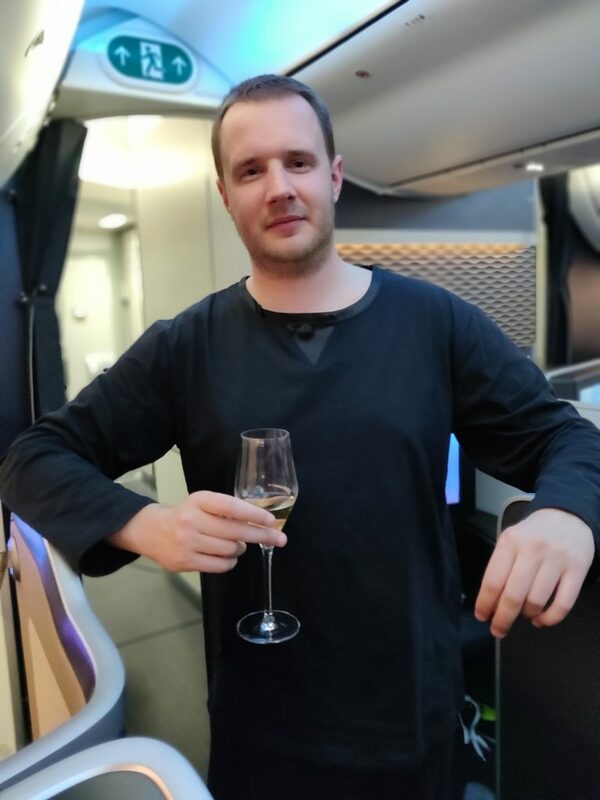 I found it underwhelming on the only occasion I ever got to try it and would much prefer to have adequate amounts of a cheaper but still decent Champagne like Bollinger, or just plain Laurent Perrier, both of which are very nice indeed. +1. Have been very underwhelmed by it. Give me Taittinger or Bolly or even a bit of Krug if I can scrounge some, anyday. Hello. Looks like they have simplified the deserts a lot with no “warm desert” to choose from anymore. 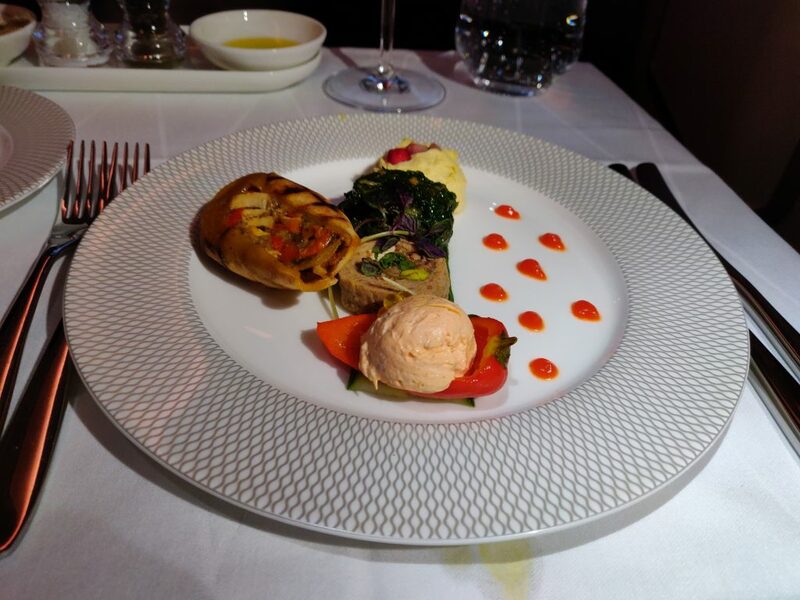 It also looks like they have removed the Fougasse “flying waiter” from the First menu covers which is a shame as the cartoon had been on menu covers on BA First Class since 2009 and was a link back to the Imperial Airways advertising posters of old. Did you see a wine list? Could you post it? The Fougasse “flying waiter” is still printed on the menu, just on the other side. Looking at the menu images, am I right that the choice of mains has reduced from four options to three with the new service? My parents flew back from Santiago de Chile om Wednesday after visiting me. A huge dissdisappoint. Food was cold and in the case of the salmon, slightly raw. The rest of the food was soft and stodgy. Pajamas were thin and fely cheap. Cabin way too warm and lots of noise all night. They also said the plane (a dreamliner) was dirty and already showiys it’s age. They’d saved avios for 15 years so were immensely disappointed. 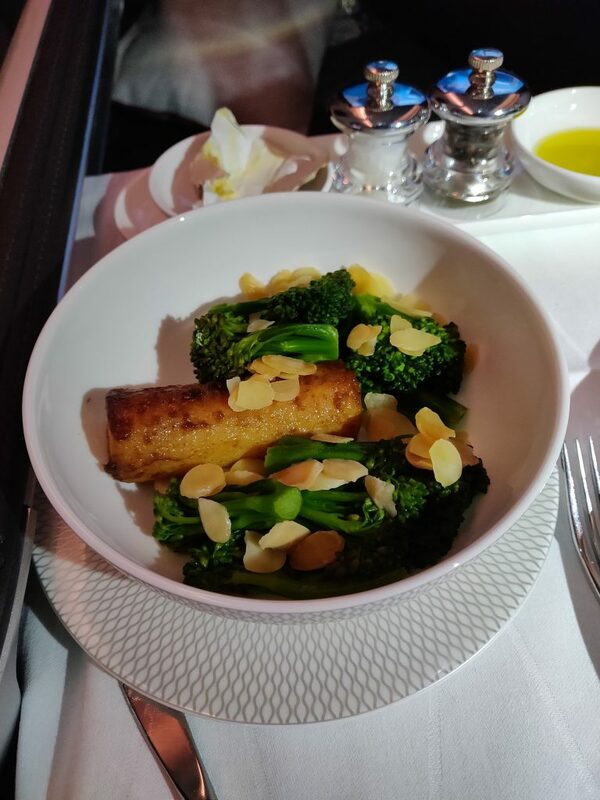 Their outwards flight to Buenos Aires was with Norwegian Premium which they rated much better than BA first in terms of comfort, food and service. Thanks! I have been trying to find this! I don’t suppose you got a pic of the new drinks list?